Has the funding frenzy sobered now? Are the right ventures getting funded? Panellists at the TechCircle Summit asked these questions as they discussed the current funding climate. 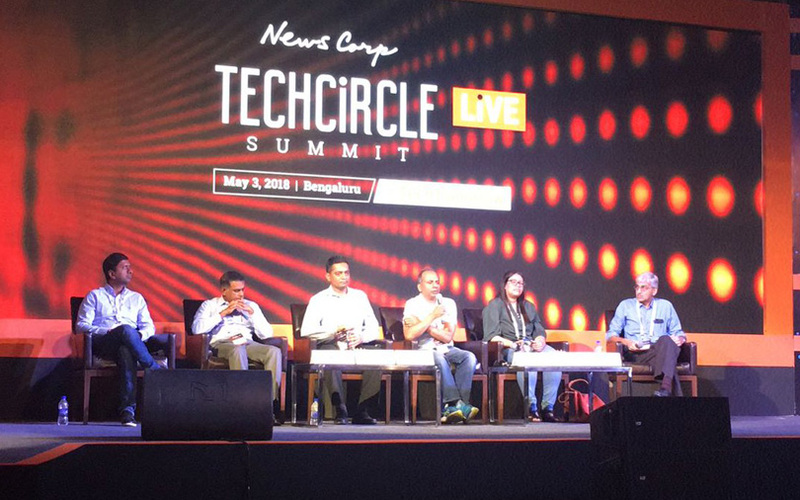 The 2018 edition of TechCircleLive saw entrepreneurs and investors gather in the city to discuss how technology and the digital revolution have affected the way businesses are run in India. In a panel discussion titled ‘Funding on the ebb,’ investors spoke about why funds were difficult to come by for startups across the spectrum in 2017. The year saw investors place bets only on mature startups. The panel was moderated by Samir Kumar, managing director at Inventus Capital Partners. The other participants included Alok Goel, managing director at SAIF Partners; Rajesh Raju, managing director at Kalaari Capital; Ashish Sharma, managing director and chief executive of InnoVen Capital; Manish Singhal, founding partner at Pi Ventures; and Payal Shah, partner and head of investments at Axilor Ventures. According to Goel, copycat startups are not funded these days. “Earlier, investors were funding these replicas. Now, people are looking at newer businesses.” He added that B2B startups have received more attention. Raju of Kalaari Capital concurred with Goel. “In 2014 and 2015, there was a lot of craziness. Investors and entrepreneurs were going after the same market share and same customers,” he explained. Deals are now happening at the seed and Series A stages. While the late stage has seen a slowdown, there is a recovery, Raju added. Raju pointed out that ‘normalcy’ and ‘sanity’ are present when it comes to investing. “Investors are asking startups about profitability, not about meaningless growth,” he said. Sharma of InnoVen Capital argued that raising debt along with equity funding can optimise the capital structure of a startup. He also seemed optimistic about the flow of external funds into Indian startups. “We are not seeing any funding winter,” he said, adding that B2B “has been a good story” so far. Singhal of Pi Ventures opined that we are seeing a different thesis of investing these days. According to him, earlier, the thesis was to fund startups who can take over the market share. “Now, there is lot more experimentation on the IP (intellectual property) and product side. This is a good correction,” he explained. Shah of Axilor Ventures said there is a lack of data at the early stage. She pointed out that a lot of early-stage deals do not get reported. “We get more and more requests from family offices for partnering with us,” she said, pointing out that there is no dearth of interest in early-stage investing.